well, I grabbed all those triangles, and bartered for some of the other left-overs and started sewing till I came up with . . . 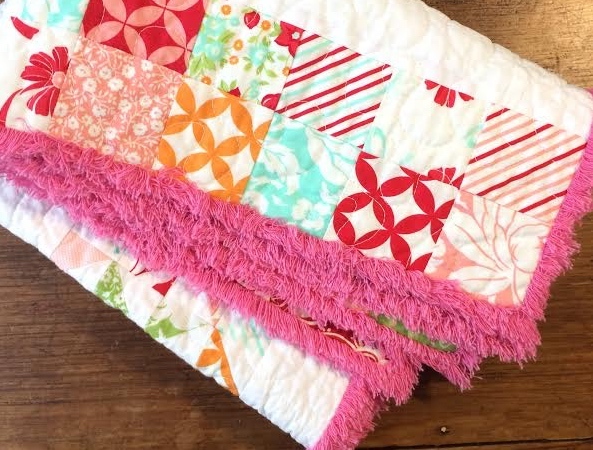 It's not the fastest way to put together a quilt, but there's something about using free scraps and creating something pretty with it that someone will adore that is very therapeutic to me. 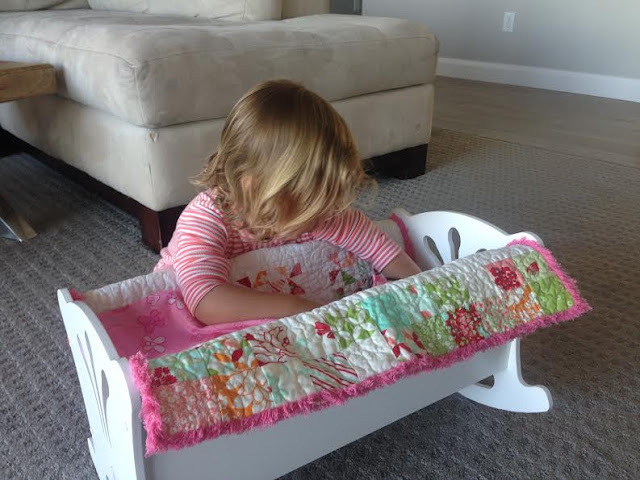 Tutorial on the chenille border found here. Oh, I do love using up someone else's scraps! Haha! I get better ideas with those than with my own scraps! 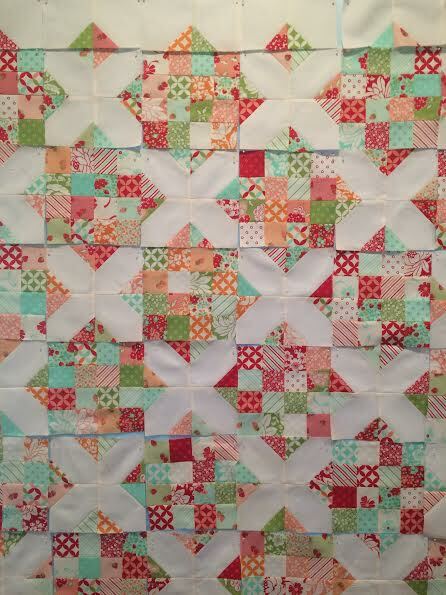 What a lovely little quilt! I love it. How sweet! Somehow, free scraps are better than your own scraps! what a way to recycle, the fabrics are too lovely to waste! Adorable little quilt. Guaranteed to bring smiles to a little one. so sweet - I am a trash stalker at quilting events as well. 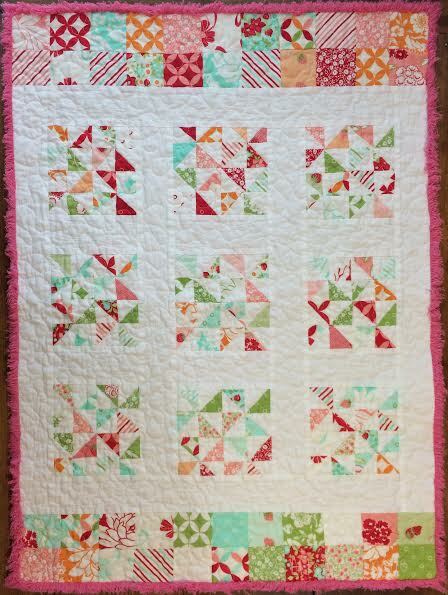 Such a pretty little quilt! 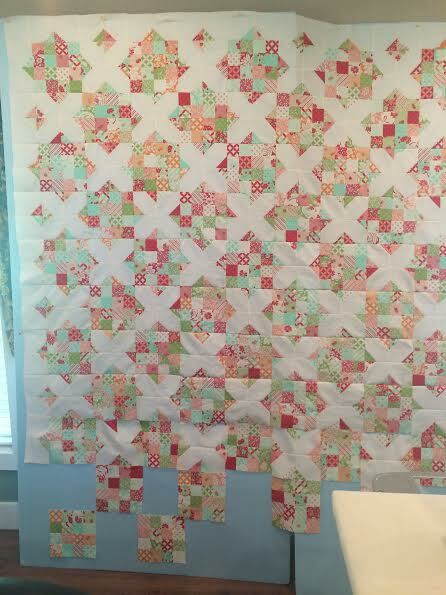 I always stitch two lines when I'm sewing those corner triangeles - then when I cut them off, the HST is already made! 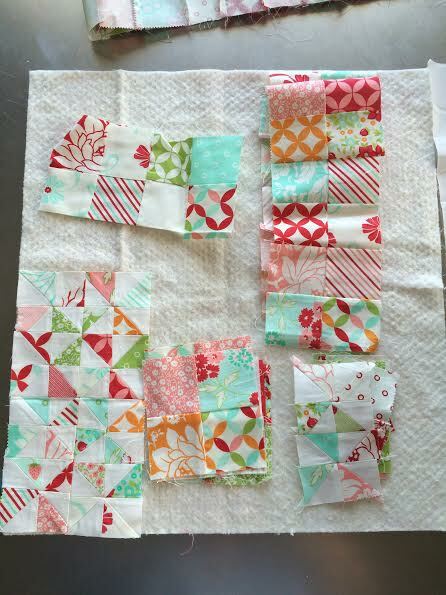 I toss them in a little bag and pull them out when I've got enough for a small quilt or border. Whoop whoop for your pretty finish! I'm just now getting around to visiting the Let's Bee Social links and I LOVE what you made out of your free scraps! Very resourceful! It's beautiful!